Bursting with smells and colors, this bustling Marketplace incorporates both the new and the old. Set in one of Jerusalem’s most beautiful old neighbourhoods- “Nachlaot”, Machane Yehuda is one of Israels most popular places to shop and eat. 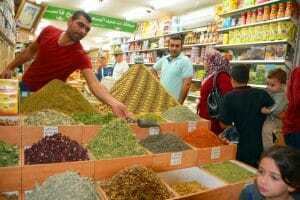 The Atmosphere at the market gives you a sense of the vibrant, multicultural personality of Jerusalem. Here at “Machane Yehuda” you can find a wide range of places to eat, from gourmet food, to “hole-in-the-wall” restaurants and street vendors. 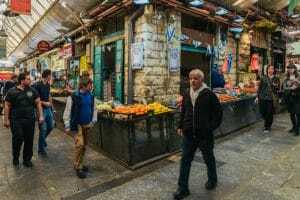 Allow yourself to get lost amongst the market’s many swarmed alleyways and absorb the unique “Jerusalemite” vibes. Sunday - Thursday 8:00 to 19:00. Fridays - 8:00 to approximately 15:00.